When is medication necessary for acne treatment? This is a common question. As an esthetician, I try to guide and educate you to understand what your treatment options are available. A consultation is the perfect way to start this educational process. Many areas will need to be discussed as to your family history, how you care for your skin, diet/exercise, and what type of breakouts you challenged with. I like to start with the basics and teach you the #anatomy of your skin and what really causes acne. Many time there are myths associated with acne treatments and I want you to understand the science behind treatment. Commonly, estheticians, work in close relation to other medical providers. It will take a good team to treat all the different components associated with #acne. Skin surface bacteria is always present but causes no harm as long as it is exposed to oxygen. When bacteria is trapped in the pore, where the environment has little oxygen, the bacteria breaks down the oil glands to free fatty acids. These acids cause inflammation, irritation redness and swelling that lead to pustule formation. If infection with fluid pustules is present, oral antibiotics may be necessary to help provide control and promote healing. Topical antibiotic lotions also are very effective and sometimes both oral and topical antibiotics are necessary. The skin will usually get worse before it gets better, so it is important to stay the course of the treatment. When medication is necessary for treatment of acne, tretinoin is a common topical drug that is used (Retin A); oral minocycline; a broad-spectrum tetracycline antibiotic in addition to topical clindamycin may be prescribed by your physician. For severe cases Accutane (isotretinoin) is prescribed. It is important to use sunscreen and wear a hat to protect your skin during treatment due to photo sensitivity. Sometimes hormone medications such as birth control or hormone replacement therapy’s may also be suggested. Your physician will guide you on the benefits of each medication. Keeping the skin balanced and not to dry is very important and this is when the esthetician is most helpful. We perform the extractions to clear the skin and recommend the right topical skin care routine to aid your healing process. Together your physician and an esthetician will guide you to healthy glowing skin. Be sure to get your birthday suit check by a doctor this month. 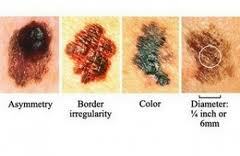 Check your skin for these signs. Please watch this quick video to help you. Psoriasis is a serious, inflammatory, non-communicable disease, affecting more than 125 million people all over the world. People with psoriasis are known to carry an increased risk of developing severe co-morbid conditions such as diabetes and psoriatic arthritis, as well as depression and even suicidal ideation. 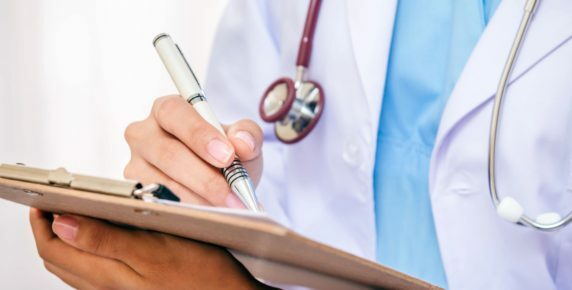 A number of studies also show that psoriasis is associated with greater prevalence of hypertension, one of the most important risk factors for cardiovascular disease.